It is good news we are living longer but it could mean a huge increase in the number of people needing replacement of their painful worn out joints. An ageing population and lifestyle factors such as a poor diet leading to obesity are increasing demand for arthroplasty surgery as more people suffer from joint pain and stiffness. Joint replacements are now implanted in over a million patients a year worldwide and this number is predicted to increase fivefold by 2030. 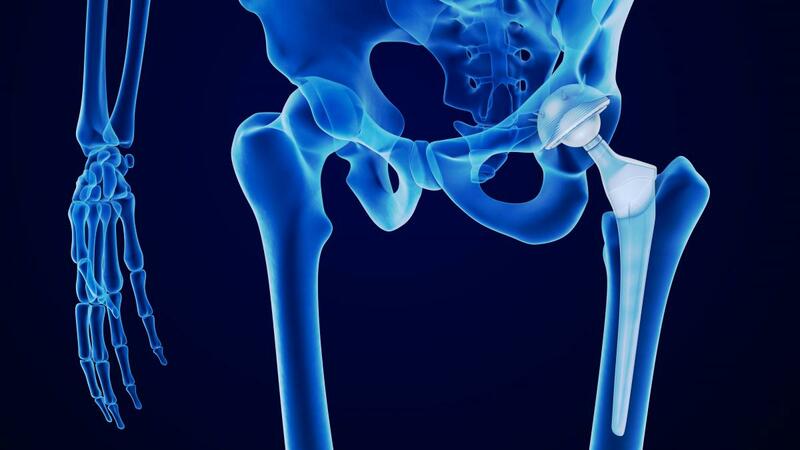 One of the most important materials used in the manufacture of medical implants and devices is pure titanium (Ti). This widespread use is due to several unique properties such as its high strength-to-weight ratio, its ability to osseointegrate, its low ion forming levels and most importantly its high biocompatibility. However, for all of these positive attributes, pure Ti has one significant weakness in these biomedical applications; its relatively low mechanical hardness. This inferior property means that conventional Ti coated knee and hip implants have to be replaced after typically 5 to 10 years of service due to wear and tear, which is both costly and can be potentially dangerous for the patient. Moreover, this lack of mechanical strength prevents the use of pure Ti in several other medical devices. Previous research has shown that the hardness of Ti can be increased twofold by alloying it with other elements such as copper or silver but this often comes at the cost of reducing biocompatibility. More recent work has suggested that alloying Ti with gold at the correct ratio to form the cubic compound beta Ti3Au has the potential to give a drastic fourfold increase in hardness whilst maintaining the material’s biocompatibility and could be the solution for significantly extending the lifetime of medical implants and replacement joints. In this multidisciplinary and highly ambitious project we will investigate mechanisms of producing super-hard biocompatible coatings of this very recently discovered intermetallic compound of beta Ti3Au. By doping the titanium coating with precise amounts of gold it is anticipated that a fourfold increase in hardness will be achieved together with reduced wear rates and excellent biocompatibility. Better understanding the mechanisms underpinning high wear resistant coatings is not only useful in bioengineering but is also central to fields of study such as engine components and machine tools and so our results could be of interest to several other research communities.